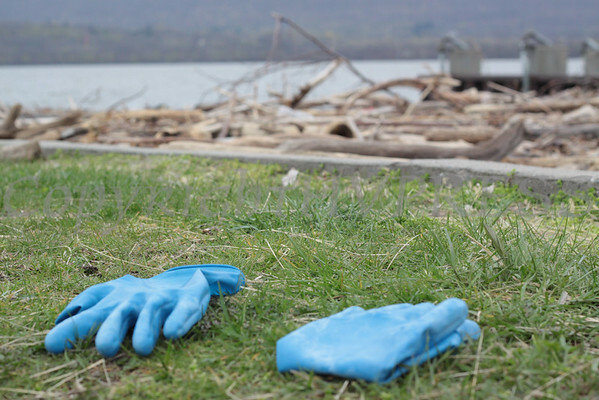 Gloves worn by rescue personell are not far from the murky Hudson River where LaShanda Armstrong, 25, her sons Landon Pierre, 5, and Lance Pierre, 2, and daughter, Lainaina Pierre, 11 months, were killed when she drove her minivan into the Hudson River Tuesday evening. One child, LaShaun Armstrong survived. Hudson Valley Press/CHUCK STEWART, JR.